With a couple of classic RTS games on the list. This year's Summer Games Done Quick, an annual speedrunning charity event, will be taking place from June 23 to June 30. It'll be raising money for Doctors Without Borders and if you're not in Bloomington for the actual event you'll still be able to watch the livestream, as well as catch up with the highlights when they're inevitably uploaded. The complete list of games at this year's event is live and it's a long one, but some highlights include Borderlands 2 (co-op), Cave Story, ClusterTruck, Deltarune, Diablo 2: Lord Of Destruction, Final Doom: TNT Evilution, and Resident Evil 2. 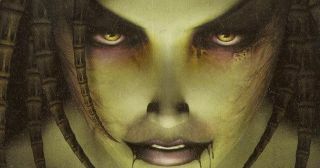 A couple of RTS games have also made the list, and it'll be interesting to see Red Alert 3 and the Protoss campaign of Starcraft: Brood War receive the speedrun treatment. Keep an eye on the Games Done Quick website for more details closer to the event. If you're interested in going, here's the attendance guide.